Your username is the email address you used to register. Make sure that cookies are enabled in your browser. Learn how to enable cookies. For all other login issues, contact webmaster@cutcaster.com. Scalable to any size without losing image quality; can be used for any printing or online applications. Need more rights? Click here to learn about Extended Licensing. 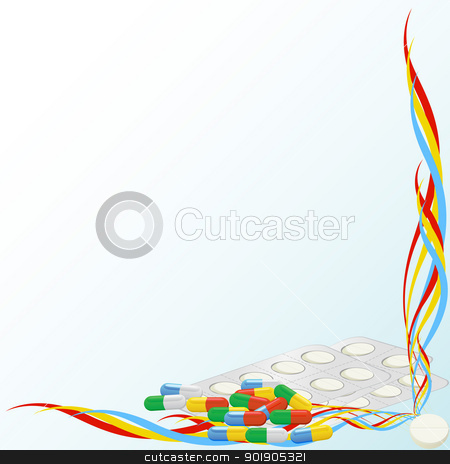 Tablets and capsules of medicine against the background of an abstract pattern. - All images can be reduced in size without losing image quality. - Increasing the size of an image (up-sizing) will cause the image to become blurry and lose quality. The more you enlarge, the blurrier or more distorted the image can become. - It’s best to buy a size that’s close to or one size larger than the final size you need. Linked with Facebook, click here to type manually. Are you interested in selling pictures? By selecting this checkbox you agree to Cutcaster's Contributor Agreement. Send me occasional updates from Cutcaster. By clicking the "Sign Me Up" button, you accept our User Agreement. √ Members can view past orders, re-download purchased images and print off invoices where necessary.